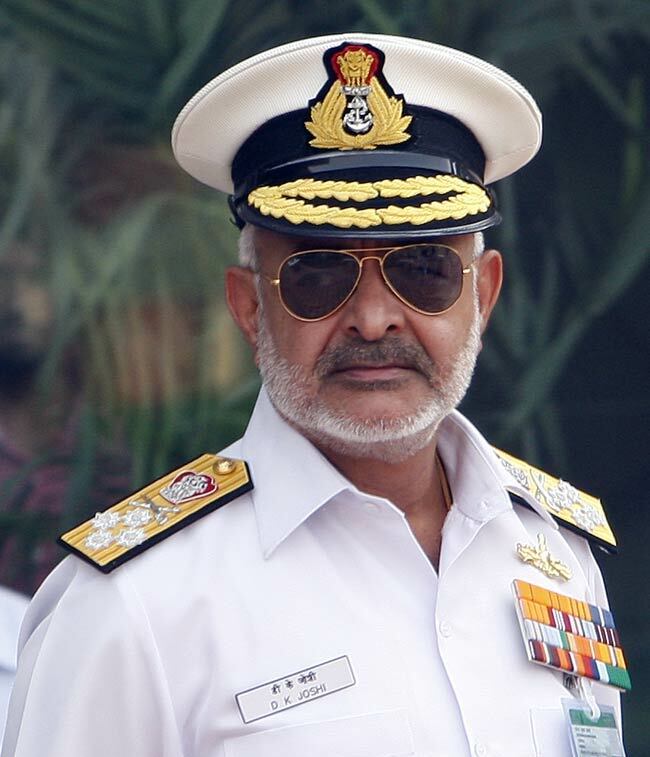 Admiral DK Joshi has resigned as the head of the Indian Navy claiming “moral responsibility” for a string of accident in the service — most recently on Wednesday. “Taking moral responsibility for the accidents and incidents which have taken place during the past few months, the Chief of Naval Staff Adm. DK Joshi today resigned from the post of CNS,” read a statement from the Indian Ministry of Defense. Joshi’s resignation follows ten accidents in the last seven months — including a fire onboard submarine INS Sindhurakshak which killed 18 sailors in August. In the most recent accident, seven sailors were injured and two are missing after smoke on the Kilo-class submarine INS Sindhuratna triggered the ship’s watertight doors while the submarine was submerged. Sindhuratna was off the coast of Mumbai during an inspection of the ship ahead of returning to operational service following a refit and systems upgrade. “The submarine was on a routine training sortie off Mumbai’s coast when smoke was detected. Measures were taken to contain it,” Indian navy spokesman Cmdr. Rahul Sinha told the NDTV news channel. “The deputy electrical officer (a lieutenant commander) and the watch keeping officer (a lieutenant) are still missing. Compartments get sealed automatically when the fire-fighting system kicks in,” Hindustani Times quoted an unnamed Indian Navy source. Other instances include the fire aboard minesweeper INS Konkan while it was in the yard in December and a amphibious warship ran aground earlier this month.